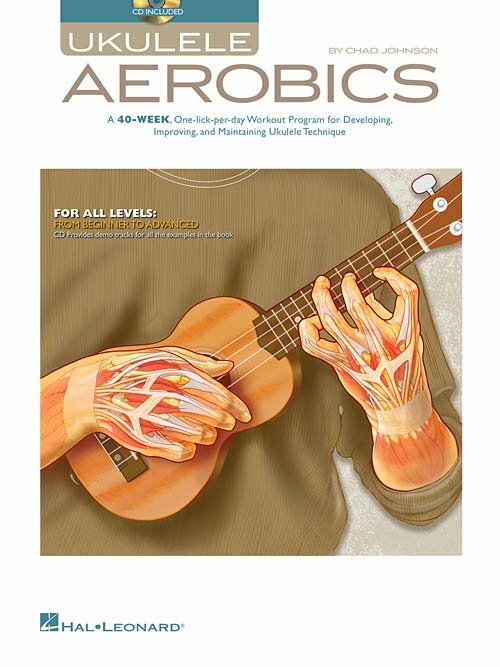 A 40-week, one-lick-per-day workout program for developing, improving, and maintaining ukulele technique. This package provides practice material for every day of the week and includes an online audio access code for all the workouts in the book. Follow this program and you'll see increased speed, improved dexterity, better accuracy, heightened coordination and more in your playing. Musical styles include pop, rock, folk, old-time, blues, jazz, reggae and more! Techniques covered include: strumming, fingerstyle, legato and staccato, hammer-ons and pull-offs, slides, bening, damping, vibrato, tremolo and more.